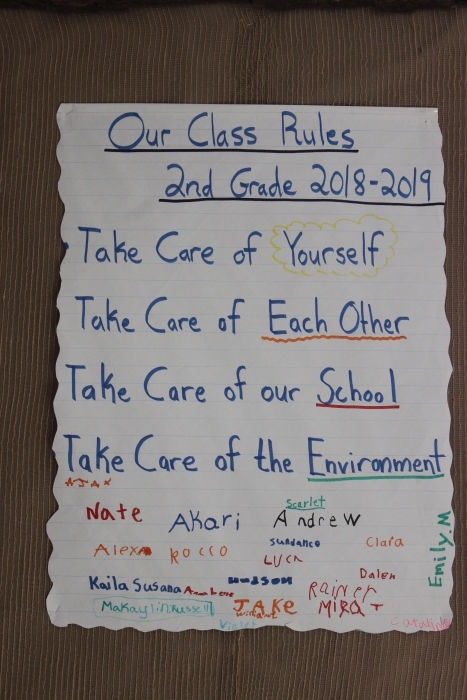 That’s the lesson that Marjorie Guigliano, a second-grade teacher at the Garrison School, has shared with her students, who have harnessed their own natural energy to transform their classroom into a largely plastic-free zone with live plants and other adjustments in the name of protecting natural resources. Guigliano was hired at Garrison shortly before the 2017-18 school year began. 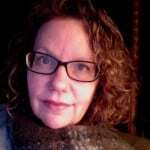 She had to organize her classroom quickly, she recalls, and leaned heavily on her teacher’s aide, Barbara D’Alessio (“Ms. D”). Together, they streamlined and converted some plastic objects into materials kinder to the planet. 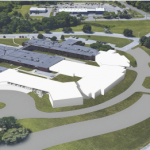 They also added outdoor gardening and a botany area along with recycling projects. Early in the year, in partnership with a nonprofit called One More Generation, the 7- and 8-year-olds spent a week learning about plastics and recycling. “They need that background to make sense of it,” Guigliano explains. 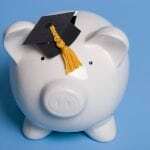 The idea of creating a green classroom came easily to both women. 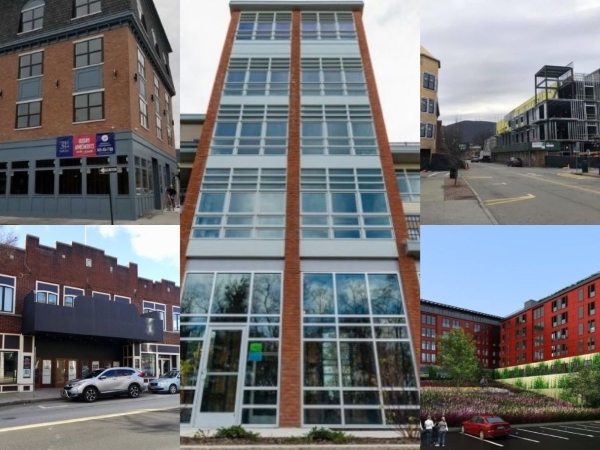 Before coming to Garrison, Guigliano taught at Growing Up Green, a charter school in Long Island City. “The primary goal in the social curriculum was for the students to internalize the green mindset, so they would know that sustainability was the responsibility of everyone in the school community,” she says. D’Alessio relied on her experience overseeing Montessori and Waldorf curriculums at private schools and working at residential schools, where she led outdoor horticulture and environmental programs. Each child’s photo is in a frame made with bark gathered from the school forest. 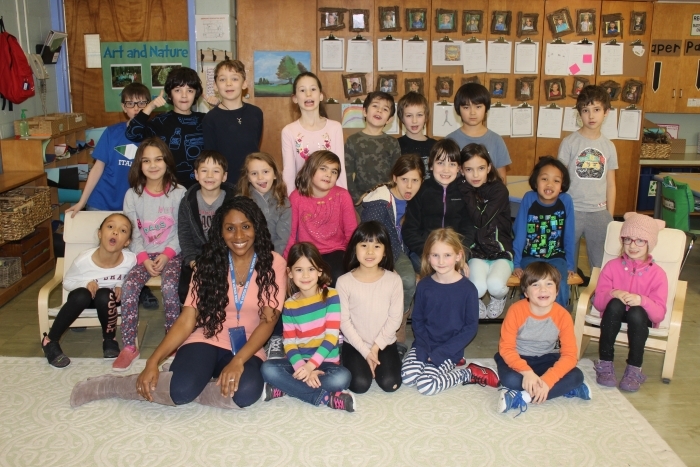 For the 2018-19 school year, Guigliano and D’Alessio received a $2,336 grant from the Garrison Children’s Educational Fund to expand the environmental curriculum. 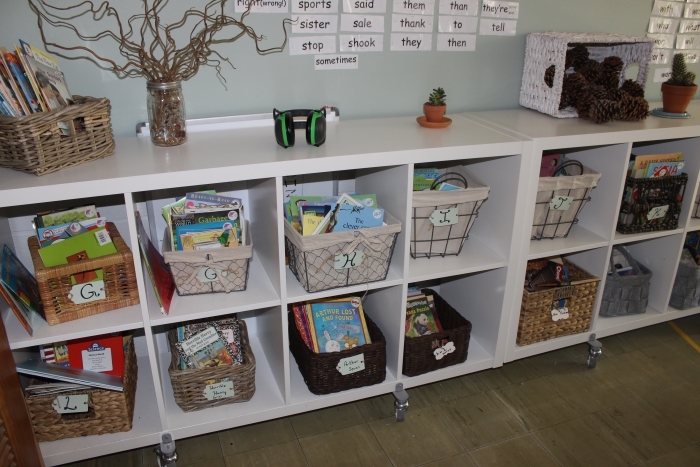 There are now more green objects in the room, including shelving, pillows, containers and storage for books made from sustainable materials. Plastic letter models have been exchanged for wooden ones. 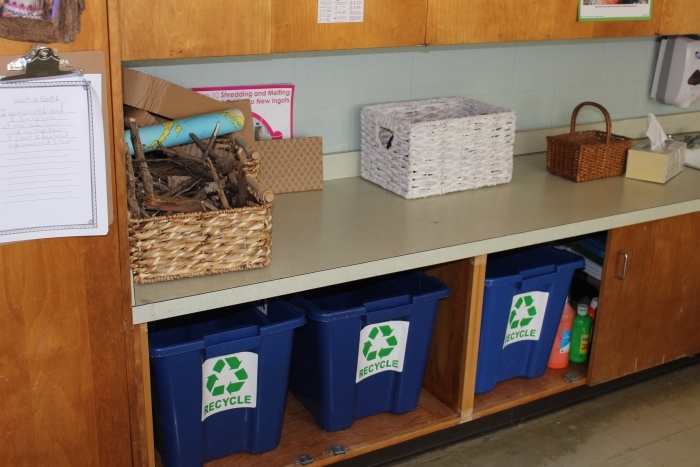 There’s an in-room recycling center, where the children learn to sort. 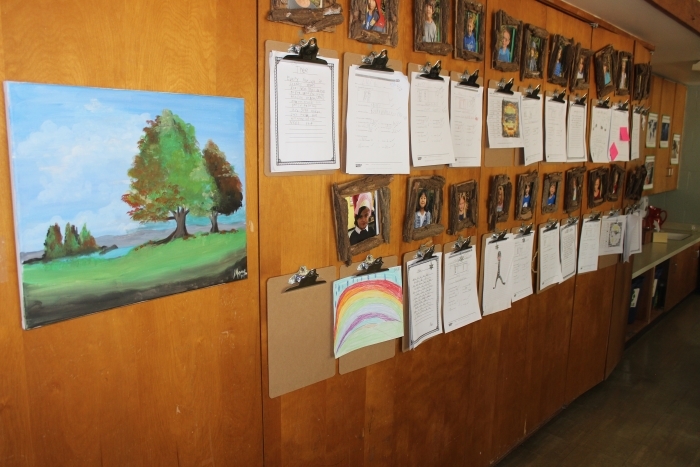 Artwork and photos of each child have been secured inside frames made from fallen bark collected from the school grounds. The color of the classroom walls has been muted, repainted over the summer with zero-VOC [volatile organic compound] paint and earth tones. A Zen Den gives mindfulness a destination, and there’s a small waterfall fountain. 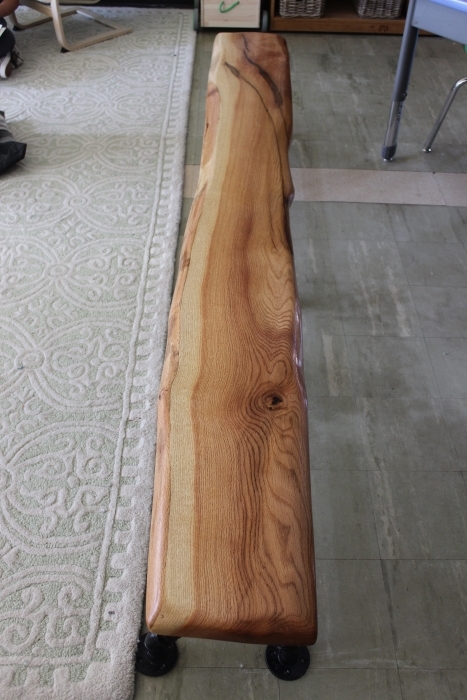 Also new is a wood bench hewn by Mike Monteleone of Monteleone Contracting from a slab donated by James Dain of Dain’s Lumber. 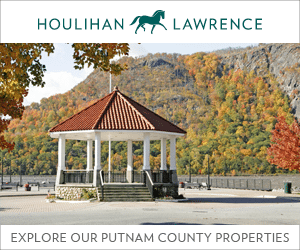 Catherine Treuter and Claire Ruckel of the Philipstown Garden Club have been advising the young botanists (the club also has donated funds), and Dutch’s Salvage in Nelsonville donated a wheelbarrow. The students are working on a project for a school climate summit scheduled for later in the year. 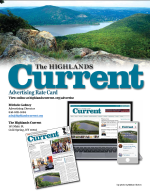 Guigliano says many have reported to her that they have made suggestions at home about how their families can reduce or eliminate plastics such as grocery bags. Families also were asked to shift to reusable water bottles and, the teacher reports, compliance has been encouraging. 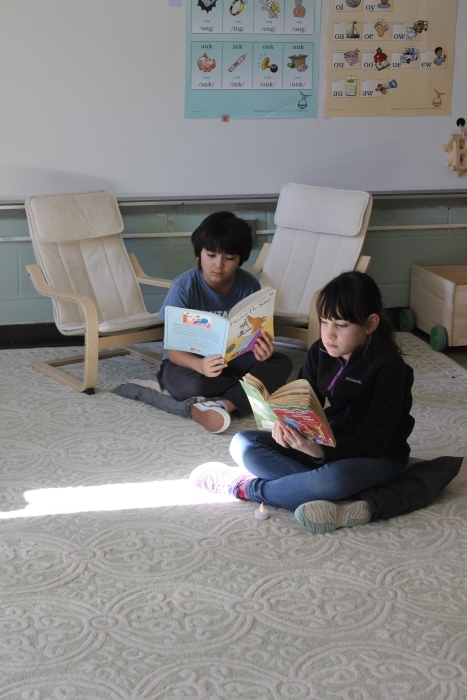 Second-grade students Sundance DiGiovanni and Clara Schimming read on the new wool rug. 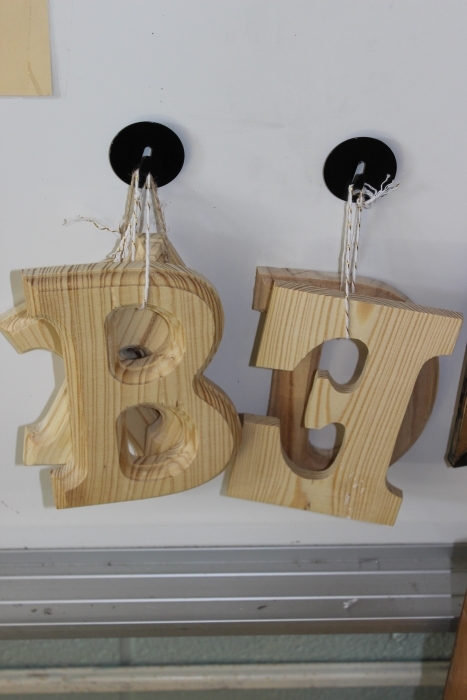 Plastic letters were replaced with a set made from wood. 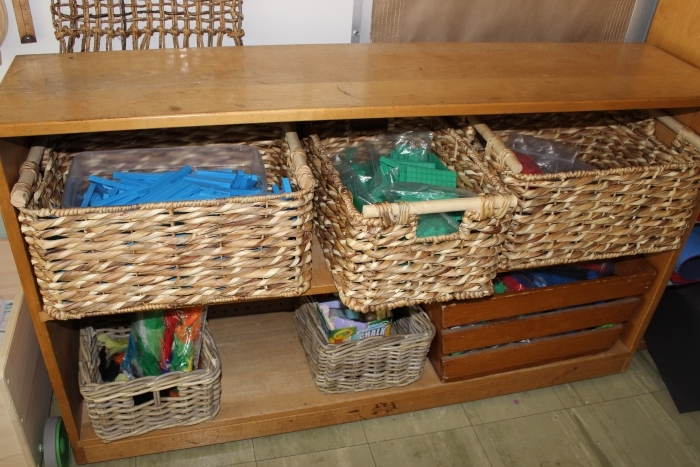 All plastic bins in the classroom have been replaced. 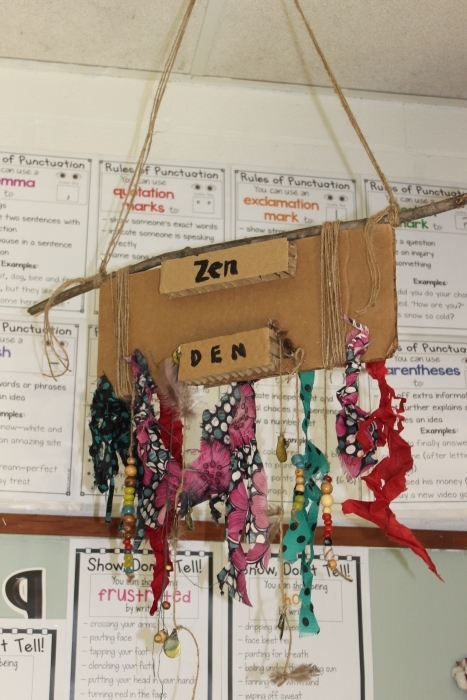 The Zen Den offers a space for reflection. 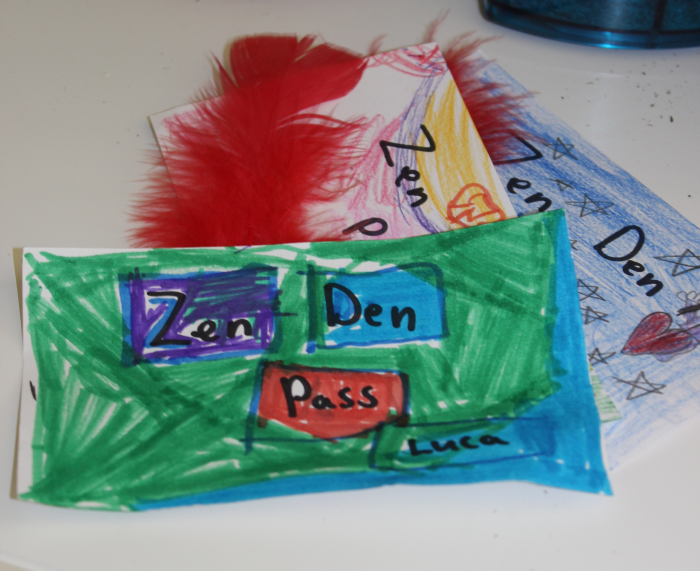 Zen Den Passes can be used for quiet time, on request. The students learn how to sorting into the correct recycling bin. 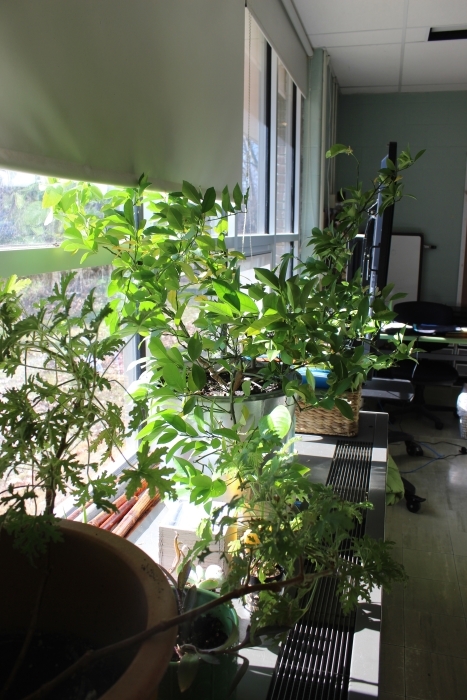 The botany area is home to many plants donated by parents, including a large Meyer Lemon tree that is yielding fruit. Bins are made of wire and bamboo.